Dr. Beverly Hall, a central figure in an Atlanta, Georgia public schools cheating scandal since 2009, died at the age of 68 on Monday. The cause of death was reported as breast cancer, a disease she had been suffering from since 2004. At the time of her death Hall was still facing criminal charges relating to the cheating scandal. No official statement was released by Hall's family or her legal team regarding the circumstances of her death however her lawyers stated that Hall maintained her innocence "to her dying breath." Should she have been convicted of several offences, including racketeering, Hall could have been sentenced to up to 45 years imprisonment. Current Atlanta Public School Superintendent, Meria Carstarphen commented on Hall's death: "We offer our condolences to the family of Dr. Hall. Our thoughts and prayers are with her family and friends during this difficult time." Hall became the Atlanta Public School Superintendent in 1999. She previously held the position of Superintendent in Newark, New Jersey. During her time as Newark's Superintendent test scores only increased mildly and the school had financial problems; Newark's mayor, Sharpe James, criticised at the time, "[Hall] is getting out of here before you realize she hasn't done anything." 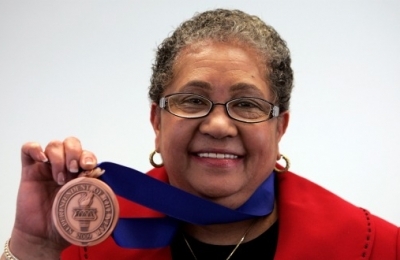 She gained critical acclaim during her time in Atlanta and was recognized for innovative urban education. In 2009 she was awarded the title of National Superintendent of the Year. At the time of the award, Atlanta schools had seen a large improvement on test scores. Shortly after, The Atlanta Journal-Constitution published a report showing problems with test results. The report showed test scores had increased implausibly fast, and alleged the school internally detected problems but didn't act on the findings. Evidence thereafter indicated test papers were tampered with. Hall, along with 34 other education officials, was indicted in 2013. In total twenty-one people pleaded guilty to charges relating to the cheating scandal while several others remain on trial. Hall became too ill to stand trial after the cancer spread to other parts of her body. Hall was born in Jamaica, and later moved to the United States. She is survived by her husband and a son.